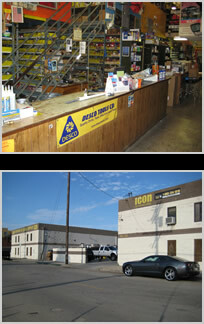 Icon International, Inc. has been in business since 1903. We are committed to serving our valued customers to the best of our abilities. Icon International, Inc. is owned and operated by the Brannen family. Frank Brannen was the CEO until he retired in 2001. Frank was born in 1934 and attended Santa Clara University on a football scholarship. When they dropped their football program he transferred to Wichita State University and graduated. He previously owned three branches of Brannen Contractor's Supply. He sold the Long Beach branch to Familian Pipe & Supply. The other two branches were sold to other companies. Frank's son, Scott Brannen, is the current President of Icon International, Inc. He took the reins after his father's retirement and has owned the company since 2002. Scott was born in 1965 and graduated the University of Southern California. After managing the Brannen wholesale plumbing business, he back-packed around the world for one year. He came to Icon International in 1991. Our company's order desk staff is highly trained to make sure you get the products you need, with the best price, and with the fastest service. If you need an item that is not in our inventory, you can be rest assured that we'll assist you and get the part you need ordered promptly. For more information on our products and services you can email us at . To contact us via other means, click here for our company contact information.